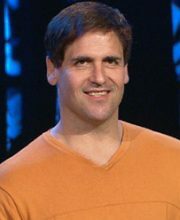 How to Win at the Sport of Business, by Mark Cuban, is a concise collection of insights into how to succeed at business, often tied to sports or sports metaphors. Cuban’s theme is that every experience offers the opportunity to learn something that could be of value to you in business. He backs this with incredible examples from his own entrepreneurial background: from selling powdered milk door to door, to owning the Dallas Mavericks. His failures have given him lessons in what doesn’t work. His successes give him opportunities to learn what does work, and how to keep it working as the world moves on around him. A short, but information-dense book, How to Win at the Sport of Business is a collection of Cuban’s past business blog posts, stitched neatly together chronologically to drive home his learning journey from his earliest days in business to his current (as of 2012) ventures. "In business, it doesn’t matter how many times you strike out. In business, to be a success, you only have to be right once." Cuban often uses sports references and metaphors to bring home his points in this book. One of the key points he makes is that in sports, win loss ratios are key to the value of the sports organization. The more you win, the better your team standing, the greater its ability to draw an audience, the greater its inherent value. Business, in general, does not work the same way, though. In business, you don’t have to hit on the perfect product, service, or other offering right out of the gate. Your second brilliant business idea doesn’t need to be a winner either. There is not ‘three strikes and you’re out’ rule in business. You get to stay at bat and keep swinging as long as you want to. Best of all, one good hit is all you need to make it. One good product idea, one good service offering, one good acquisition, and you are a success. The important thing is to keep learning from each strike. Learn why it didn’t work; learn why it wasn’t as brilliant an idea as you thought. Never give up on learning from your experiences if you intend to keep on swinging. If the upside of business is that you get to keep swinging until you knock one out of the park, the downside is that the game never ends. Business is a 7 x 24 x 365 proposition. If you have your one great idea and your business is taking off, others will try to steal it, emulate it, under-cut it: essentially find any way to make your success their success. Your job now changes. You are no longer are you just required to generate ideas. Now you have to protect that great idea and keep it ahead of the competition. You need to play both a defensive and offensive game at the same time. Here is where all your learnings from having swung and missed before come into play. You became good at learning and applying what you learned to the future. You now need to keep learning and applying everything you’ve learned to keeping your business at least one step ahead of the competition. In the end, though, you only need to win once to become a success. Just once! "I was getting paid to learn about how computers work, how big companies work, and how middle managers work – that was a whole lot better than paying tuition to get a business education." Losing is not the problem. Failing to learn from the loss is a problem. Whether the loss is a failed business idea, a lost job, or a lost opportunity, there are things to take away from the experience. Cuban was talking about one of his first jobs in the quote above. With each passing day, this job was less fun and more of a grind. He only lasted about nine months in the job before moving on. But in that short period, Cuban paid attention to what was going on around him: he was learning from every experience, even though he knew the job would never be his big win. He focussed on learning and kept positive with the notion that he was being paid to learn while many of his cohort were paying for their education, which would be far more abstract. "No one is going to know or care about your failures, and neither should you." Cuban’s own career history is a prime example of the keep swinging concept. He started with simplistic ideas like selling vacuum cleaners and powdered milk door to door. Neither made him rich financially, but both enriched his experience with work. Mark learned how to cold-call prospects, literally knocking on strangers’ doors to try to sell product. Next up was his stint at a Bank, helping in IT. He never expected the job to be his winner, he wanted to get paid to learn, and learn he did. Cuban got experience with computers, big business, and managers, all on the banks dime. Even as Cuban began to win at the sport of business, as he began to launch companies that were a hit, he didn’t stop swinging. He knew his first businesses had short shelf lives. They were good, but the advance of technology and other pressures would make his winning ideas losers sooner or later. It was important to keep those winning businesses operating successfully as long as possible, while also developing next ideas. In this way, Cuban was able to jump from success to success with minimal downtime. Eventually, he got to the point where he could acquire additional businesses and, by applying his experience, ensure they became or stayed winners. Don’t judge this book by its size. There is a lot of valuable advice and lessons in this short book. Cuban does not waste effort or time (his and his readers’) with needless flowery prose. He delivers the way he works: high-value, low-waste, solid information that readers can apply to their lives.